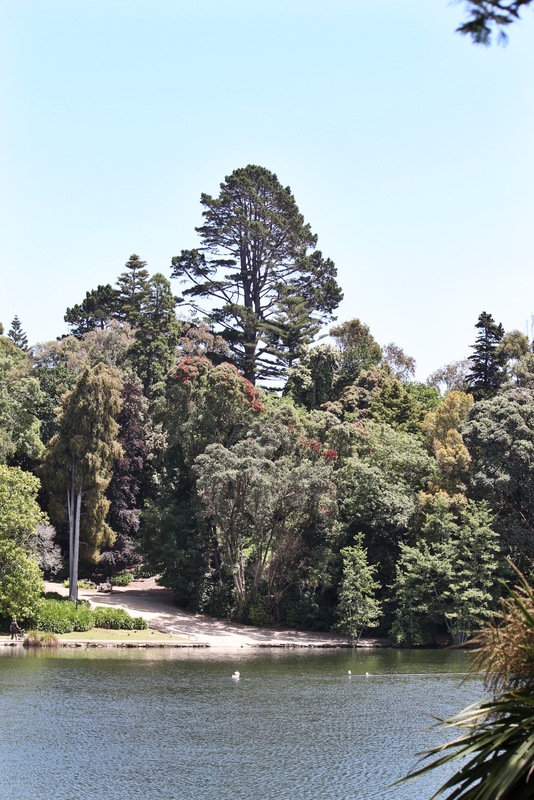 Whanganui has a beautiful gem in the form of a peaceful lake right in the heart of St John’s Hill, a leafy suburb. Maori named this lake Rotokawau. 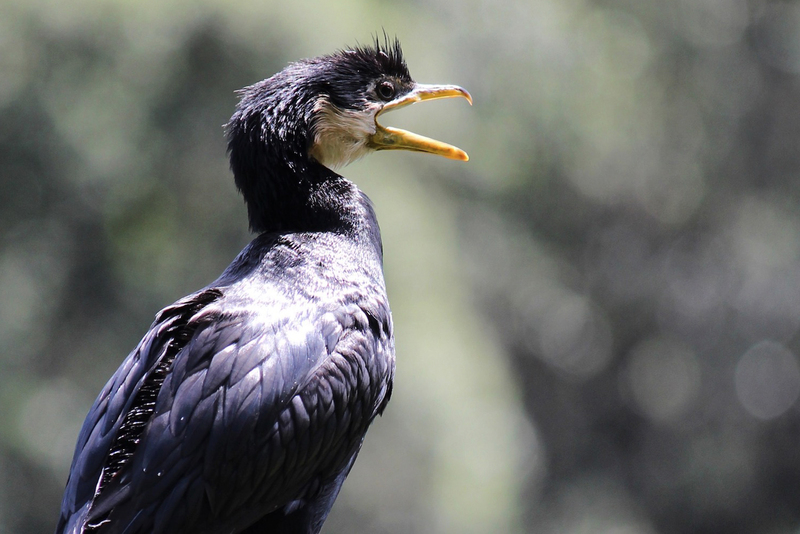 Roto, being Lake and Kawau, meaning black shag. These days it is commonly known as Virginia Lake as it was part of Virginia Farm established in the mid 19C by early British immigrants. With a little bit of research about this lake’s original name, I set off with my camera to walk this beautiful 18 hectares of grand old trees, native fern walks, lily ponds, and abundant bird life. 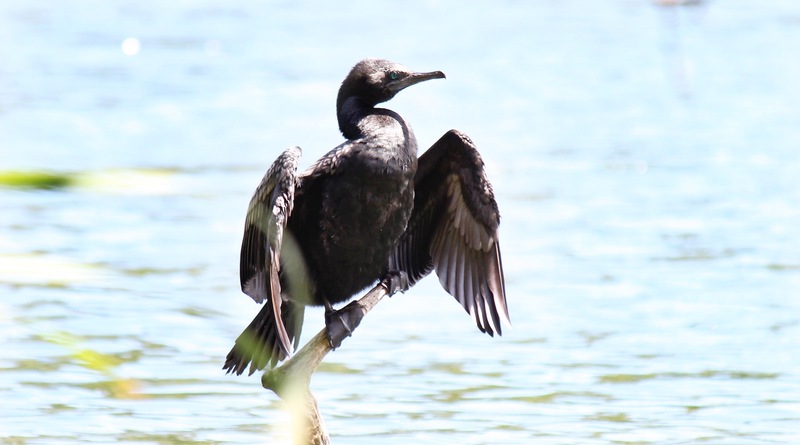 I wanted to find these black shags. I wasn’t disappointed. Tucked around a gentle bend in the lake are some man-made floating platforms that have become the landing strips for the shag population. Black Shags seemed to fly fast and frequently onto these mini islands from trees all around me. Here they stretch their wings and take on the warmth of the sun before diving into the lake only to pop up many meters away with a wriggling fish held firmly by a beak. Virginia Lake is not all about the birdlife. 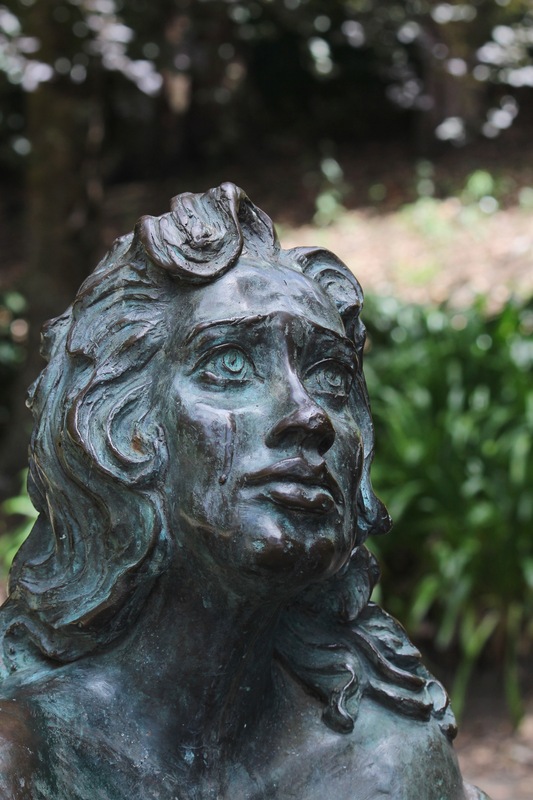 There’s plenty to discover while you’re out walking with a coffee in hand from the nearby cafe, picnicking at The Band Rotunda, or looking for Tainui. Maori mythology tells a haunting story of how young Tainui met up with a bird lover named Turere. They shared a passion and ability to talk with the birds, but jealous and angry Ranginui wanted Tainui to become his wife. He wasn’t having a bar of this love between these two and so set off to kill Turere where the lake now lies. 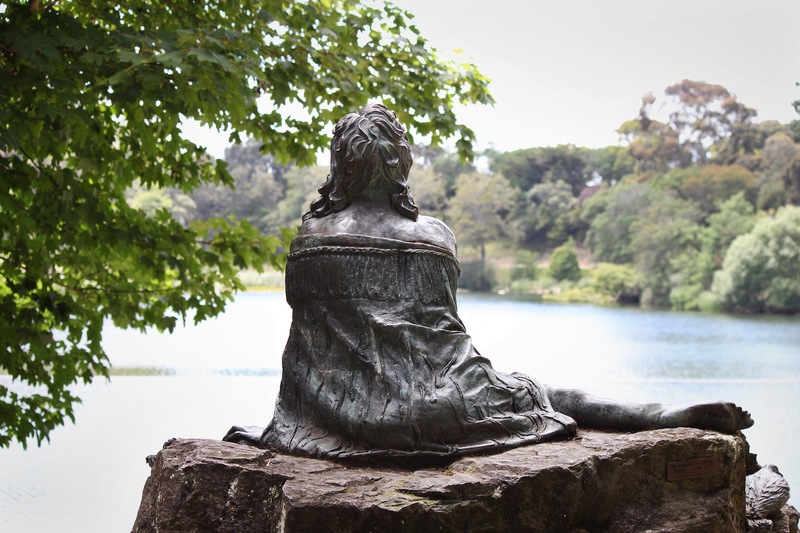 In her grief, Tainui cried tears adding to the water of the lake. You’ll find her tucked back from the lake shore with her birds around her, nestled amongst the protection of tall trees and the gentle murmurs from passersby.